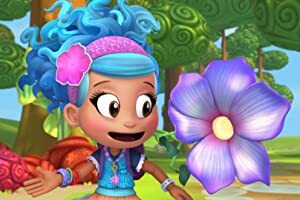 Luna Petunia: Return to Amazia – Season 1 (2018) – What's New on Netflix Canada Today! Luna Petunia returns to magical Amazia, adding memories to her scrapbook with old friends — and a new pal from the Animal Empire. Luna and her friends work hard to make Macy’s first trip to Amazia memorable. Macy learns the importance of listening to instructions. Fellino’s Tumble Cat cousin, Catalina, is afraid to be herself. Sammy’s ego gets carried away when he’s named the funniest person in Amazia.